What makes a good animal research statement? Recently we created a list (still in progress) of the public facing statements institutions have on their website about their animal research. The quality of these statements and associated web pages are of mixed quality. In the second half of this post we assess ten top life science universities (according to the THE World Ranking) for how well they explain animal research on their websites. In the UK, we ranked 13 out of 56 listed institutions as having exemplary pages relating to their animal research. In the US only 2 of the 47 could be considered exemplary. We lack enough statements from other countries to be able to draw any conclusions from there. British and American institutions can learn a lot from some of the best practices of the most open organisations. Below we provide six suggestions for improving a website. Step 1: Have a statement about animal research! This one seems obvious, but many institutions fail at this most basic hurdle. Of the Top 10 Universities in the World for Life Sciences (according to Times Higher Education 2014-15), MIT (Massachuetts Institute of Technology) either do not have any statement explaining that they do animal research and why, or have hidden it so well on their website that it may as well not exist. A statement should provide some indication of why there are animal experiments being conducted at the university. It should be written in a style which is suitable for consumption by the general public (many institutions place a short statement on animal research on their IACUC page, which is not intended for the public). Research using animals has made, and continues to make, a vital contribution to the understanding, treatment and cure of major human and animal health problems; including cancer, heart disease, polio, diabetes and neurological diseases and disorders. While new methods have enabled scientists and medical researchers to reduce studies involving animals, some work must continue for further fundamental advances to be made. 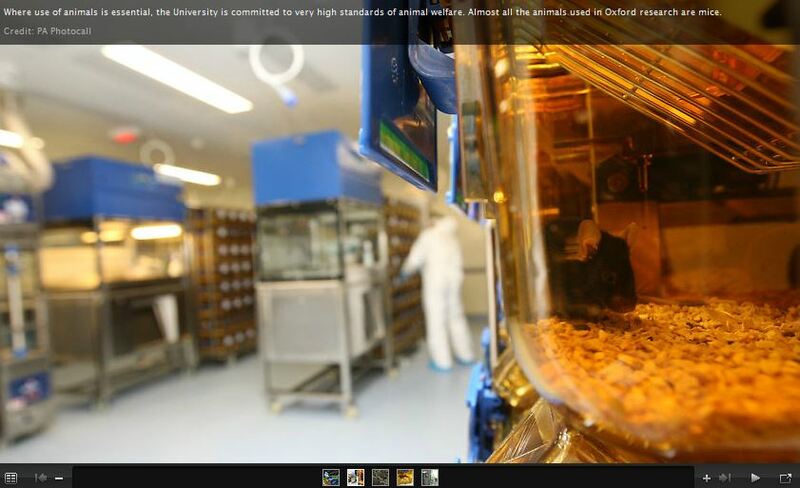 The University of Cambridge only uses animals in research where there are no alternatives. In fact, the law demands that where a non-animal approach exists, it should be used. The principles of reduction, refinement and replacement of animals in research (the ’3Rs’) underpin all related work carried out at the University; ensuring that the number of animals used is minimised and that procedures, care routines and husbandry are refined and regularly reviewed to maximise welfare. There is no point creating a lovely set of resources about your animal research is no one can find it. There are three main ways people look for this information. The first is to Google phrases like “<institution> animal research” or “<institution> animal testing” or “<institution> animal experiments”. The desired page should really be first or second on the Google list if it intends to be read. The second way people search is the search bar on the institution’s website, and the third method is to try and browse through the menu system on a University’s main page. Consider the ease with which people can find across all three. While six of the universities rank 1st for at least two of the phrases, the top two institutions – MIT and Harvard – fail to rank for most phrases on Google. Case studies are a great way of helping members of the public understand why animal research is done at a university. Case studies allow the public to better understand how the use of animals fits into the research process. 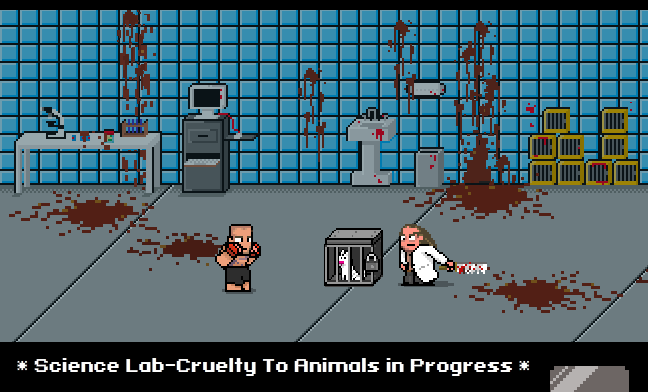 If a newspaper picks up a story (perhaps sent by an animal rights group) about an institution’s animal research, it can be helpful if a journalist can find examples of the types of research and research areas that a research facility is engaged in. Of our top 10 Life Science universities, only Cambridge and Oxford universities provided Case Studies. Numbers are not everything – they do not contextualise the size of an institution’s biomedical research department relative to other universities – they do not tell you how much work is being done using alternative methods – they can mislead people if one experiment, one year, happens to require a lot more animals BUT if you don’t publish them, someone else will – and you can be damn sure there will be even less context. Freedom of Information laws in both the US and UK can allow animal rights groups to force the numbers out of institutions, and then use it for a press release condemning the university. However, newspapers are far less likely to run with the story if those statistics are available clearly on the website – it becomes less of an exclusive, and more of a non-story of “animal rights group emails readily available statistics on a website to a newspaper”. All responses to number-related enquiries should then simply direct people to the section of the website that hold them. Good statistical information will include a breakdown of the number of animals by species, preferably including information on the use of non-AWA covered species such as mice, rats and even fish. The UK institutions again come up trumps, with all three of its institutions on the top 10 providing some statistics. Cambridge provides its 2013 statistics alongside an explanation of why animal use is rising. Imperial College provide information on the number of animals used in both 2012 and 2013 including all vertebrate species. Oxford only provides information on the number of primates held, and the number undergoing procedures. This probably reflects a long time media interest in primate research at Oxford. The best images include animals, but any image that can help dispel the idea of a blood-spattered basement with maniacal scientists is a step in the right direction. So all said and done, how do our top ten universities stack up on our six steps? Institution Statement? More Info? Google? Case Studies? Statistics? Images / Videos? Communication on animal research is still new to many institutions,and we believe the website is a great place to start. Here we provide six steps to help universities provide more information to the public. We encourage institutions to add a link to Speaking of Research so that the public can be better informed about why we need animals to help medical, veterinary and scientific progress continue. Posted on December 1, 2014 February 12, 2015 by EditorPosted in Campus Activism, News, Outreach NewsTagged animal research, Life Sciences Universities, Top 10, web statements. I wanted to share this article because I feel it is my responsibility as a laboratory animal care taker to help inform the public about animal research and show the benefits that come from our discoveries. I hope other animal facilities can use this article to create meaningful and informational websites to promote their facilities and animal research in general.